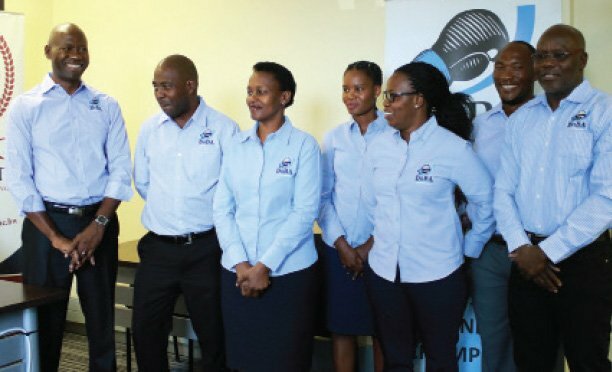 The women’s national volleyball team is expected to benefit massively from a partnership forged between the Botswana Volleyball Federation (BVF) and Howard University from the USA. The BVF is currently hosting the Howard University National Collegiate Athletics Association (NCAA) women’s volleyball team for friendly matches and potential future collaborations. Speaking during a press conference in Gaborone earlier this week, BVF president Daniel Molaodi said they will get an opportunity to collaborate with the NCAA and further cement a relationship with the US university sports organisation. Molaodi said a number of local athletes have benefitted from the NCAA including former Zebras striker Diphetogo ‘Dipsy’ Selolwane. Molaodi said the NCAA Division 1 is a strong league and some members of the US Olympic team are usually acquiring from this structure. “Howard are a strong team and we want to learn from them. This year will come with a number of qualifiers for numerous games and playing against Howard will give out girls the much needed exposure,” Molaodi said. The BVF president said the Howard team, which is predominantly African American is expected to conduct coaching clinics at selected schools including primary and secondary schools. Furthermore, Molaodi said they expected another visit from one or two teams from the US in the future. Speaking during the same occasion Howard University team coach Shann Kupferberg said the student athletes in his team are all African American and this makes them feel a kinship with Africa. “This is an exciting moment for them as this is their first time in Africa. The biggest part of the experience will be education,” he said. In addition, Kupferberg said he was looking forward to training with local athletes. Among other things in the five-day trip, the Howard team will be expected seminars for local coaches. The US team is expected to conduct training sessions the men’s senior national team. The trip will include a motivational game with the Botswana ladies Under 20 team that is being prepared for the AUSC Region 5 games. The Howard team will donate volleyball equipment to the BVF and schools. After their visit to Botswana, the Howard team is expected to travel to neighbouring Zimbabwe.